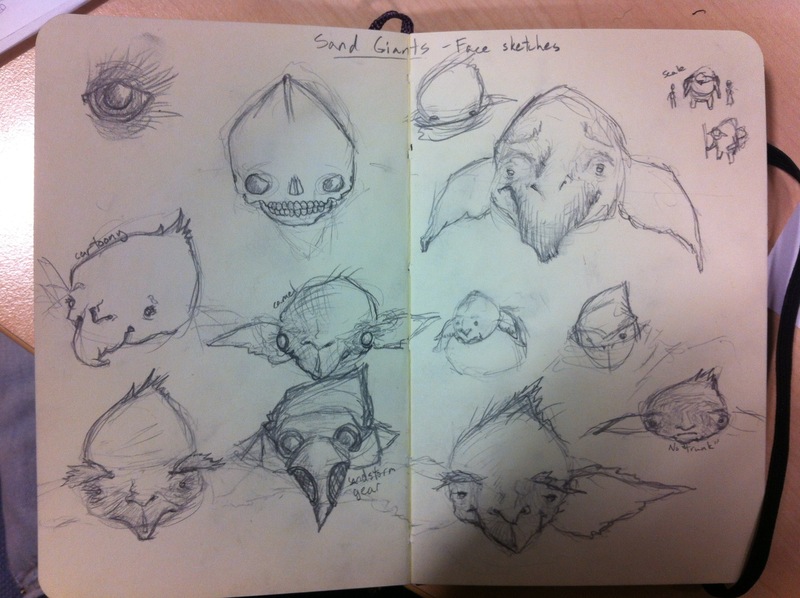 Some concept sketches of the sand giants of (insert name of desertey area). The sand giants are a race of sentient primates that have evolved to survive in the desert, which is why I want them to look a bit like a cross between a camel and an elephant but with a bipedal, primate’s physique. I first had the idea for these guys a couple of years ago for a comic* and thought I’d have another go at working on them as I think they’d fit in quite well with my collection of creatures. *It was a steampunk comic set in an alternate Earth (as they so often are). These guys lived in the deserts of North Africa and wandered nomadically alongside berber tribes. Nothing ever happened with it though. I had some cool ideas for it with some set pieces that worked in my head but when it came to sitting down and working out the plot and scripting it I didn’t have nearly enough patience. Maybe one day! This entry was posted in Uncategorized and tagged Camel, Desert, Elephant, giant, Pencil, Sand, Sketch, Steampunk. Bookmark the permalink.